Wigmore Hall is to become the new home for the nationwide activities of the CAVATINA Chamber Music Trust. 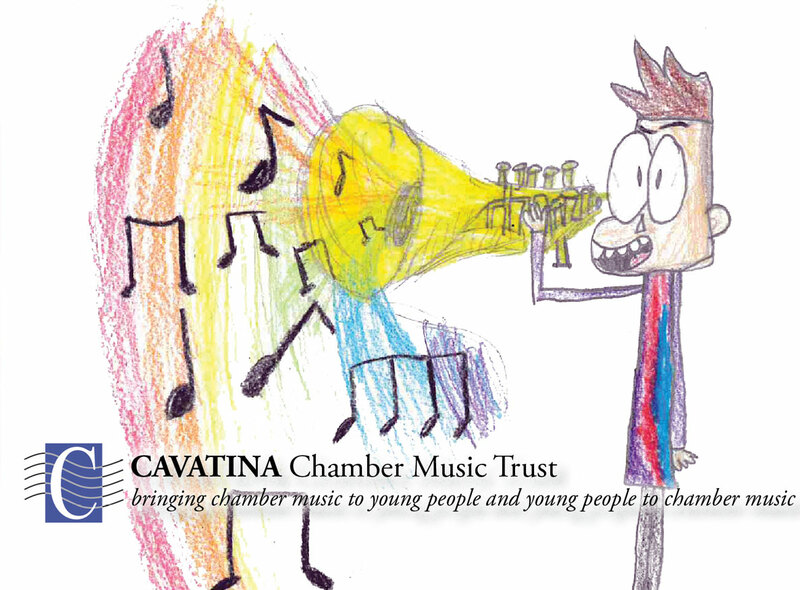 CAVATINA has introduced chamber music to over 130,000 young people since 1998, through its schools concerts, workshops, and a free ticket scheme, which allows young people aged 8 – 25 to enjoy chamber music without barriers to entry. Founded by Simon Majaro MBE and his late wife Pamela Majaro MBE, CAVATINA has worked in partnership with Wigmore Hall for over 20 years, and now forms a major part of the Hall’s ongoing commitment to new audiences and its strategy to make tens of thousands of tickets available to young people every season, either for free or for just £5. The winner of the 2018 postcard competition - in which the CAVATINA Trustees choose their favourite pupil response following a CAVATINA School Concert - has been chosen: a pupil in Year 5 from Crawford Primary School, following a performance by the Magnard Ensemble in October 2018. 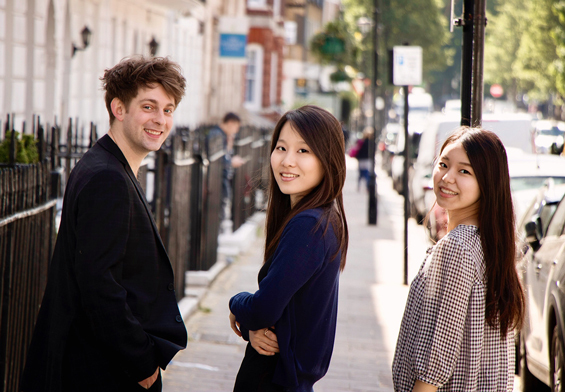 We are delighted to announce that Trio Opal will be the CAVATINA-Trio-In-Residence at the Royal Academy of Music for the 2018-19 academic year. Read more about them here. As adjudicator Fiona Maddocks said, "Beethoven came off rather well" after seven excellent performances of his Quartet in C minor, Op. 18, No. 4. 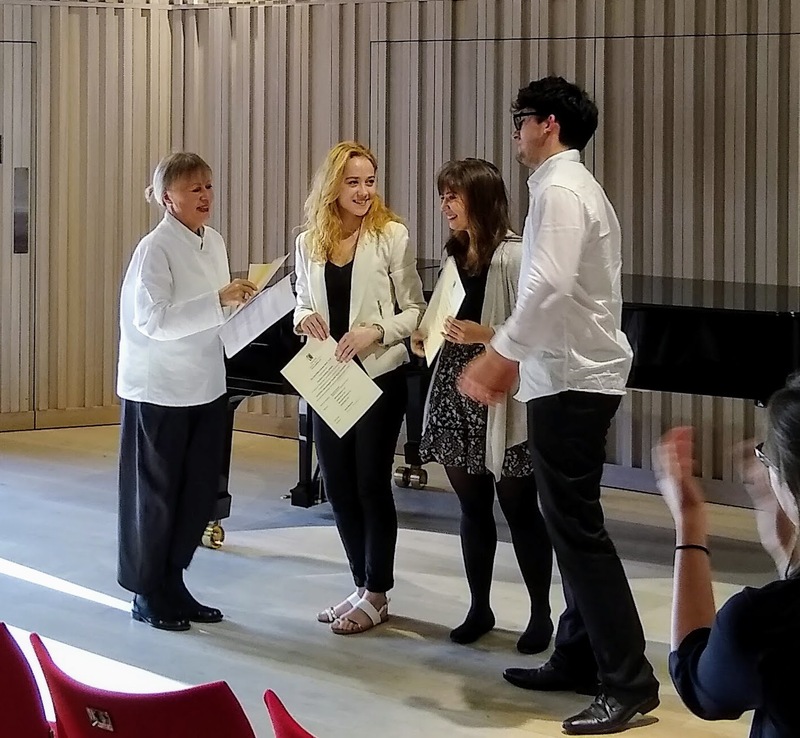 In the end, the Accendo Quartet from the Guildhall School of Music & Drama took first place, with the Dréme Quartet from Trinity Laban Conservatoire of Music & Dance winning the second prize, sponsored by the Elias Fawcett Trust. CAVATINA's latest newsletter is now available online, detailing the charity's work in 2017. The Behn Quartet has been awarded, for the second year in a row, the CAVATINA Fellowship at the Royal Academy of Music for 2017-18. The quartet has enjoyed a tremendously successful year, including winning a recital at Wigmore Hall, thanks to the Maisie Lewis Young Artists' Fund and the Worshipful Company of Musicians. The recital will take place on Monday 19 February 2018. This year's CAVATINA Intercollegiate Chamber Music Competition was won by the Nemesis Trio from Trinity Laban, with the second prize (donated by the Elias Fawcett Trust), going to the Grajner De Sa Trio from the Royal Academy of Music. The adjudicator was Stephen Johnson and the set work was Beethoven's Piano Trio in C minor, Op. 1, No. 3. CAVATINA's latest newsletter is now out, detailing the charity's work in 2016. CAVATINA Chamber Music Trust was shortlisted for the RPS Music Award for Chamber Music and Song in 2016. The annual RPS Music Awards, presented in association with BBC Radio 3, are the highest recognition for live classical music in the UK. Awards, in thirteen categories, are decided by independent panels consisting of some of the music industry's most distinguished practitioners. The awards honour musicians, composers, writers, broadcasters and inspirational arts organisations. This year's RPS Music Awards celebrate outstanding achievement in 2015. 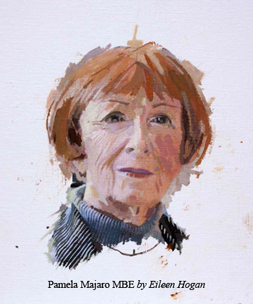 It is with great sadness that we report the death of one of our two founders, Pamela Majaro MBE. Pamela's family asks for no flowers, please, but donations will be welcomed instead by CAVATINA Chamber Music Trust. You can donate online using PayPal, CAF Bank, or electronic transfer. Alternatively you can establish a standing order or discuss arranging a legacy with Tom Hancox: tom@cavatina.net or 020 3601 2978.